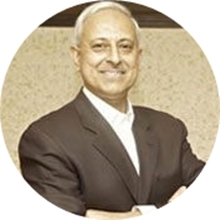 From the prestigious King’s College in London, Dr. Zul Paliwalla is a General and Cosmetic dentist at NOA and specializes in smile related concerns. Dr. Paliwalla has an extensive work experience of 33 years while working in the United Kingdom including Harley Street, Central London. Dr. Zul has helped make many renowned people smile better, again. He has worked with famous international musicians, sports stars, TV and theatre actors, among other celebrities. He is also a certified Invisalign® practitioner who has brought his expertise to Dubai and to offer his brand of personalized smile makeovers. 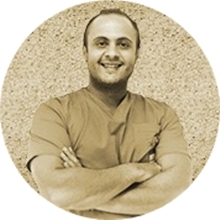 With over 14 years of clinical experience, Dr. Ahmed Eldesouki is a specialist Implantologist at NOA dental clinic. He completed his post-graduate specialty training in Oral Surgery from the University of Glasgow, United Kingdom. Dr. Eldesouki also obtained his Fellowship in Oral Surgery from The Royal College of Surgeons of Edinburgh and was awarded Membership of Faculty of Dental Surgery by the Royal College of Physicians and Surgeons of Glasgow. 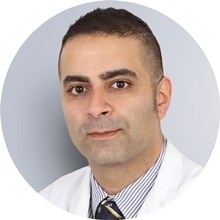 Dr. Ahmed has most recently been appointed as an Examiner and International Dental Adviser for the UAE by the Royal College of Surgeons of Edinburgh, due to his expansive knowledge and experience on dental implants. 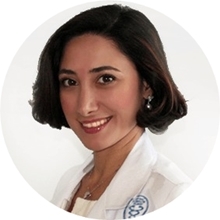 Dr. Rana qualified with a Bachelor Degree in Dental Surgery (BDS) and following that she became a Member of the Faculty of Dental Surgery (MFDS) at the Royal College of Surgeons of England. She then joined the renowned Eastman Dental Hospital at University College London (UCL) and undertook 3 years of post-graduate residency training in the specialty of Orthodontics. She gained a Master of Science (MSc) degree in Orthodontics and a Membership in Orthodontics (MOrth) from the Royal College of Surgeons of Edinburgh. Dr. Rana has extensive work experience that ranges from working as a specialist in hospitals in England and also working in several private practices in London including the prestigious Harley street. She later decided to further her education and gained a second Master’s degree in Lingual Orthodontics from the Medical Hospital in Hanover (MHH) in Germany where she became an expert in the Incognito and WIN lingual orthodontic appliances (hidden braces). Dr. Rana is passionate about volunteer dental work and has done so in several developed countries treating medically comprised children. Apart from orthodontics, Dr. Rana is very keen on sports and enjoys cycling, running, hiking and being in the outdoors. Dr. Marwan Al-Obeidi received his Doctorate in Medical Dentistry from Guy’s Hospital, London in 2003. Following his professional qualification, he practiced maxillofacial surgery at Queen Alexandra Hospital and the Royal Military Hospital in Haslar, UK. Dr. Marwan gained membership of the Royal College of Surgeons of England in 2007. 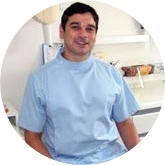 He has over 10 years of experience working as a general dental practitioner in both Surrey and central London. Dr. Marwan enjoys all aspects of his field especially cosmetic dentistry and prosthetics. He is a member of the Royal College of Surgeons of England, General Dental Council (UK) and the Cambridge Academy of Dental Implantology. 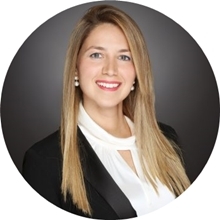 Dr. Argiro graduated in 2006 with a degree in Dental Surgery from Manchester University, United Kingdom. Following her formal training, Dr. Argiro undertook clinical attachment in the Orthodontic Department of Countess of Chester Hospital. She has since continued to grow her practice and worked extensively on restorative, pediatric, special needs dentistry and oral surgeries. In 2009, she successfully became a Member of the Surgery of the Royal College of Surgeons in Edinburgh MFDS (rcsed) and in 2012 she completed three and a half years of training in Orthodontics from Aristotle University of Greece, obtaining her Master’s Degree (MSc) as well as Specialization Title in Orthodontics and Dentofacial Orthopedics. Dr. Argiro has a vast and solid experience in treating children, teens and adults using the latest techniques in orthodontics including lingual braces, invisible braces, the Damon system and mini implants. She is a certified provider of Invisalign, Eon, and Incognito braces. She is also trained to manage patients with cleft lip and palate along with oral and maxillofacial surgeons. Dr. Mehnaz graduated from the Glasgow Dental Hospital and School, University of Glasgow, Scotland, UK. She earned her Masters’ in Clinical Dentistry (Periodontics & Implantology). She also has postgraduate certifications in laser dentistry and medical education. In 2017 she was awarded Fellowship of Dental Surgery by the Royal College of Surgeons of Edinburgh. Her areas of interest include periodontal plastic surgery, surgical gingival contouring, implant surgery in the aesthetic zone, laser dentistry, oral soft tissue laser surgery, gingiva depigmentation (gum bleaching). Dr. Faisal Munif is a qualified British Dentist from Manchester Dental School in 1999, where he was awarded the Farrar Prize for Prosthodontics. Dr. Munif worked in General Practice in the UK, after graduation, for 2 years. Following this, he traveled extensively and has worked in Australia where he was employed by both a private practice and the dental department of a medical insurance company in Sydney. Dr. Munif, upon returning to the UK, worked for 5 years in a Chesire based practice where he built up a large and loyal patient base. He moved to Dubai in 2008 and has worked for the British Dental Clinic for over ten years. This has provided him with an extensive range of general dental skills: from crown and bridge restorations and molar endodontics (root canal) to cosmetics procedures such as veneering and tooth whitening as well as experience with restoring implants. Dr. Neil is Medical Director at Dentist Direct. 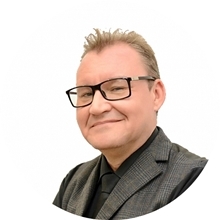 He graduated from Newcastle Dental School in 1995 and after a further professional postgraduate training program gained a Diploma of General Dental Practice from the Royal College of Surgeons of England in 1998. Dr. Neil believes in patient centered approach and has a passionate interest in oral-systemic links, put simply how your mouth and its health can affect your general health and many prevalent conditions such as diabetes and heart disease. Dr. Neil loves to provide high-quality solutions for patients and enjoys all aspects of modern dental practice, incorporating up to date technology and techniques and is fully committed to lifelong learning in dentistry. 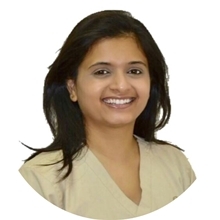 Dr. Sneha completed her Bachelor of Dental Surgery from Kings College London in 2011 and then went on to complete her vocational training in London, United Kingdom. She later worked as a Senior House Officer at Kings College Hospital obtaining valuable experiences whilst working alongside leading consultants and completing increasingly complex cases. This experience allows her to offer comprehensive care to the young and old alike as well as nervous patients by consciously ensuring that their needs are adhered to. She specializes in treating all kinds of dental problems and also is well experienced in providing conscious sedation. Her passion for cosmetic and aesthetic dentistry is bound to put a smile on her patient’s faces. 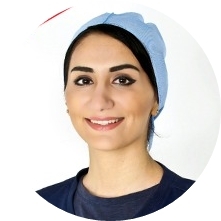 Dr. Behnam underwent her Specialist training in Orthodontics at the Eastman Dental Hospital and gained an MSc in orthodontics in 2008 and membership in Orthodontics (MOrth) from Royal College of Surgeons of Edinburgh. She is also an active member of European Orthodontic Society (EOS) and is the Cultural Committee Chairperson at Emirates Orthodontic Society. Dr. Gilda specializes in treatment of all types of Orthodontic malocclusion and provides high-quality orthodontic care using the latest available techniques including cosmetic ceramic braces and is a certified provider of Incognito Lingual braces and Invisalign Clear aligners and Damon system. 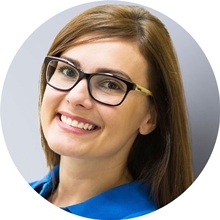 She has experience with both adults and children requiring all range of orthodontic care as well as multidisciplinary care such as Orthognathic surgery and children with cleft lip and palate, Hypodontia (missing teeth) and snoring/sleep apnea.